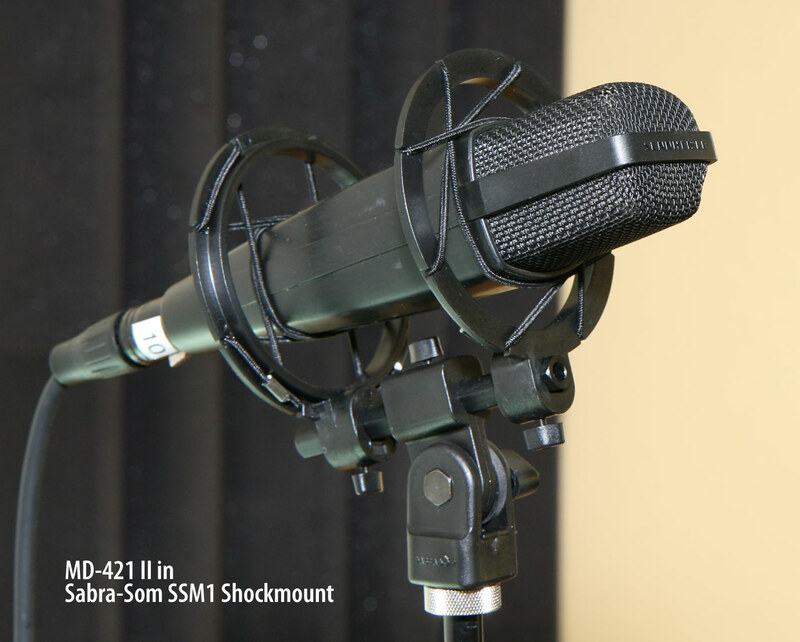 I first used the Sabra-Som SSM-1 Universal Shockmount when Michael Capella pulled one out during our BLA-mod Digi 002 DAW shootout. We needed to put two SDCs as close together as possible. The SSM1 let us do it without resorting to duct tape. I bought one of these shockmounts after that day, figuring it would bail me out again at some point. And it definitely has. 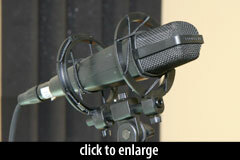 Here’s a photo of the most recent episode — a borrowed MD-421 showed up without its widely-loathed proprietary clip. Once again, I avoided the curse of duct tape. 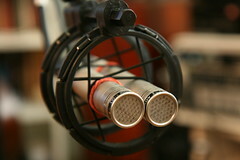 The hoops can slide along the shaft, adjustable from 0mm (directly side-by-side) to about 90mm (3.5''), to better accommodate mics of different lengths. Also, the entire device can be disassembled to lay flat for easier storage. Finally, I like the fact that it has a low acoustic profile, unlike the shockmounts that are made from lengths of PVC pipe. The SSM1 shockmount is a winner. It has neatly and effectively solved a problem for me on numerous occasions. It has more than earned its place in my mic locker.